The Editorial Board of the Colorado Springs Gazette penned the piece below, linked here, in response to a recent audit conducted by the Oregon Secretary of State that found the state has utterly failed to regulate the industry. Oregon’s recreational marijuana market is rogue, failing to undergo mandatory inspections and possibly exposing people to harmful metals and other contaminants. It feeds a robust black market. Those are key findings of an audit of the industry by the Oregon Secretary of State, released last week. The audit found only 3 percent of Oregon’s pot retailers and a third of its growers have undergone mandatory inspections for molds, metals, bacteria and other potential hazards. It means Big Marijuana gets a pass on the type of common-sense scrutiny applied to suppliers of food, pharmaceuticals, liquor and tobacco. It means bad actors can sell dangerous products to consumers without much risk of getting caught. Colorado needs a similar audit, especially given our state’s larger and more liberated commercial pot market. Long before the Oregon audit, The Gazette’s news department detected a lack of accountability among Colorado’s pot growers and sellers. “The Gazette has been trying all year to report on the impact of marijuana on Colorado five years after it was legalized,” said Editor Vince Bzdek in August. Smart Approaches to Marijuana, founded by former U.S. Rep. Patrick Kennedy, D-Rhode Island, wants a Department of Justice investigation of the regulatory shortcomings in Oregon, an independent commission to investigate problems with the state’s system, and possible appointment of a federal “special master” to oversee marijuana regulations and enforcement. Dr. Kevin Sabet, a former adviser to President Barack Obama, believes the Oregon audit has far-reaching implications. 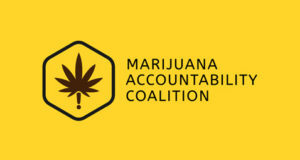 “This earth-shattering report makes one thing clear: states cannot regulate the marijuana industry,” said Sabet, who heads Smart Approaches to Marijuana. 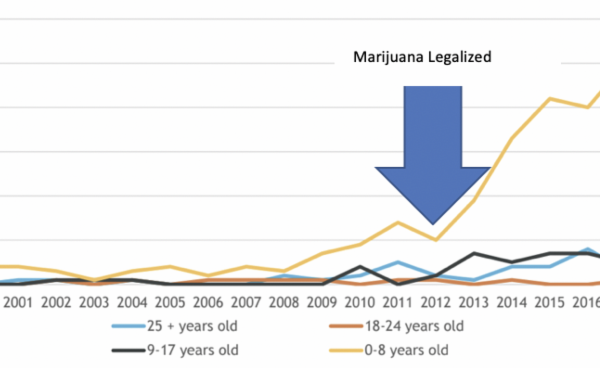 When Colorado voters legalized a nearly unbridled commercial pot industry, they turned children and other state residents into subjects of an “experiment” that appears unmanaged. “We’re conducting one of the great, you know, social experiments in recent history,” then-Gov. John Hickenlooper told National Public Radio in January. “This is a big experiment. Let’s treat it like one,” Hickenlooper told The Denver Post in June. Legitimate experiments involve the meticulous collection and observation of data. Professionals conducting experiments take interest in the causes and effects of newly introduced factors. Yet, six years past legalization — and the mass introduction of commercial growers and retailers of pot — we have a neglected experiment in which we have little useful and reliable information. Subjects of this “experiment,” which include Colorado residents, endure the causes and effects of the world’s most liberal marijuana trade. At the very least, they deserve information. Marijuana products are sold for human consumption, meaning consumers expect a market regulated for safety. This is not a pro-pot, anti-pot, or partisan matter. It is a public health and safety concern. The Legislature and governor should order a full-scale forensic audit by a reliable, objective, third-party firm with impeccable credentials. Doing so will protect consumers and improve the image of Colorado and big commercial pot.